Have you ever heard news so unexpected that you really couldn’t take it all in? I remember listening to a cryptic voicemail from my wife on the morning of September 11, 2001: “Something awful is happening… planes are crashing… the World Trade Center is on fire…” What was my first reaction? I hung up the phone and made a beeline for the TV. Why? Was it because I doubted my wife’s report? Well… in a certain way, yes! But it wasn’t that I thought she was lying to me. The news was just so big and hard to comprehend that I needed to see it for myself to really believe. I’m sure you can relate. The Lord certainly knew about their doubts, and He provided clear proof to all of them that He was indeed alive. He does the same for us today. Belief in His resurrection does not require blind faith. Teaching Point: There is reliable evidence for the resurrection of Jesus Christ. The resurrection of Jesus is the foundation of the Christian faith. Because it’s so essential to our faith and salvation, we can be sure that God has provided us with plenty of reliable evidence to back up His Word. 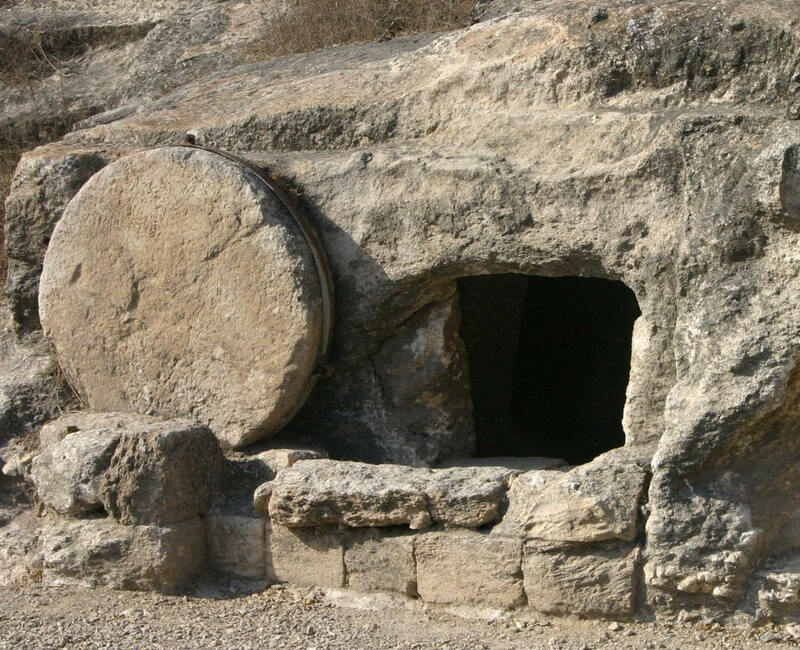 Let’s take a brief look at just one example: the empty tomb. In John 20, several followers of Jesus visited the tomb where Jesus had been buried, but they found it empty. Where was the body of Jesus? Those who don’t believe in the resurrection can’t simply overlook this question. It requires an explanation. And no one can say the whole story is “just a legend,” because there’s too much historical evidence to back up the account. The existence of Jesus of Nazareth is well documented. The fact that this Jesus was crucified on a Roman cross when Pontius Pilate was governor is also well established by history. It’s also acknowledged that three days after the very public death of Jesus, His body disappeared from the sealed tomb – a tomb that was closely guarded by soldiers. - How would the guards even know what had happened if they were truly asleep? - Why were all these well-trained “guards” sleeping anyway? - Did they all sleep right through the heavy stone being rolled away right next to them? - Why weren’t any soldiers ordered to find the body and apprehend the alleged thieves? - Why would the disciples risk their lives to steal the body and fabricate a resurrection story if they knew it was nothing more than a hoax? Another way unbelievers try to explain the empty tomb is that Jesus wasn’t fully dead when He was placed in the tomb. They say He didn’t really come back to life, but rather He “revived” in the tomb on His own. But this theory implies that a group of experienced soldiers under the command of a centurion all mistakenly declared a crucified man dead when he was only unconscious. Not to mention, this view assumes a man who had been cruelly scourged, hung on a cross, pierced by a spear, and left with no food, water or aid for several days could revive sufficiently to escape from a sealed and guarded tomb -- and accomplish all that without anyone noticing. The crucifixion and the empty tomb of Jesus of Nazareth are well established and accepted facts of history. If there was no resurrection, the empty tomb must be explained. Practical Application: When in doubt, check it out! When Peter and John were told that the tomb was empty (John 20:2), they ran straight there to check it out for themselves. After John saw the evidence that Jesus was gone, he believed (v8). He believed on the basis of the evidence! This was no leap into the dark. Later on, Thomas may not have been a perfect model of faith. But in John 20:26-28, when he checked out the evidence, he believed. Whenever you have doubts about the Christian faith, don’t run away! Don’t be persuaded by the uninformed conjectures of unbelievers. There is overwhelming evidence available for the accuracy and reliability of the Bible. When in doubt, check it out! Our course on Christian Evidences 2 details more evidence for the resurrection and other topics on defending the Christian faith.